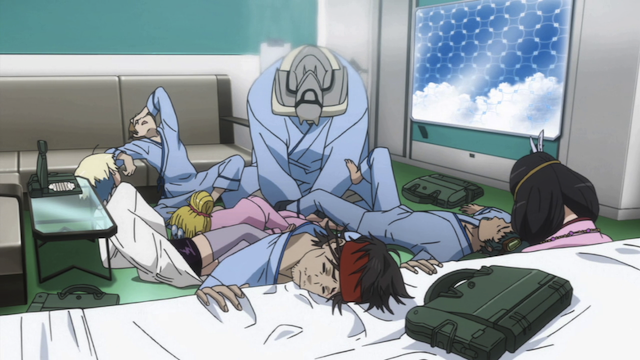 The crew of the Bentenmaru are hospitalized but hardly resting. 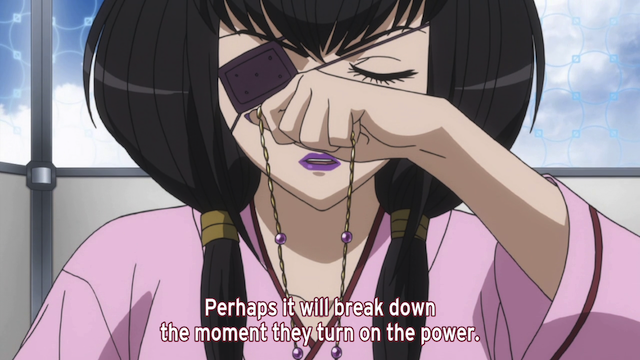 Episode 15 of Mouretsu Pirates (Bodacious Space Pirates) turned out to be quite funny. With the regular crew still in quarantine, Captain Marika tries to run some pirate jobs with her friends from school. The problem? 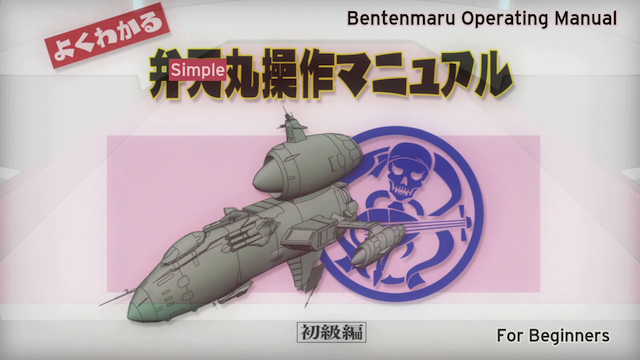 The Bentenmaru is tricked out, and nobody in the Hakuoh Academy Space Yacht club has been trained in the peculiarities of the systems aboard it. Don't worry Kane. The Yacht club would never replace you as their adviser. Great to see the Odette II again. This time we are treated to a nice animation of the space sails unfurling. The Serenity Princesses play stowaway again. Grunhilde may look like a badass here, but she brought snacks, so we're good. Emperor J calls this Grunhilde’s “kill aura”. She certainly has attitude! Of course Marika was planning to leave them behind, so that probably angered her quite a bit. 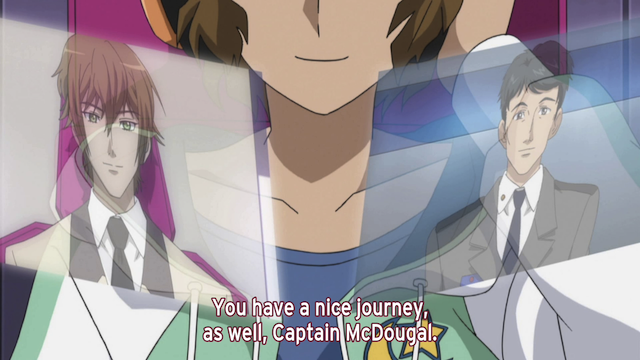 Apparently Chiaki helped them stowaway on the Odette II. I would question her wisdom in getting them involved in this, but one look at her face when they opened the snack basket tells me she wasn’t thinking with her head anyways. Keeping people's spirits up, Serenity style. 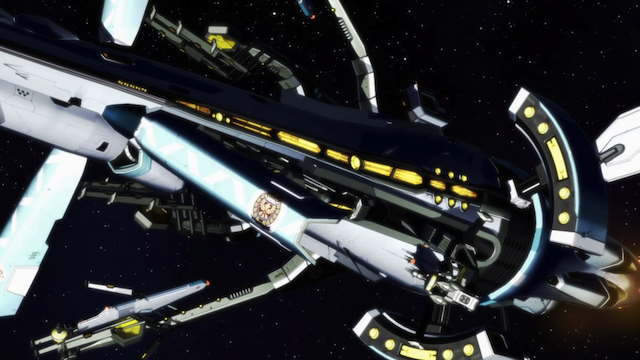 The Hakuoh Space Yacht club sneaks out to the Bentenmaru to help Marika out of her pinch. 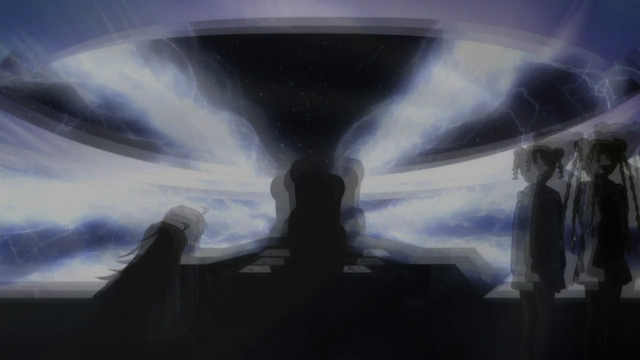 Unbeknownst to them, Hyakume has monitors set up so that the regulars are aware of the substitute crew before they even board the ship. 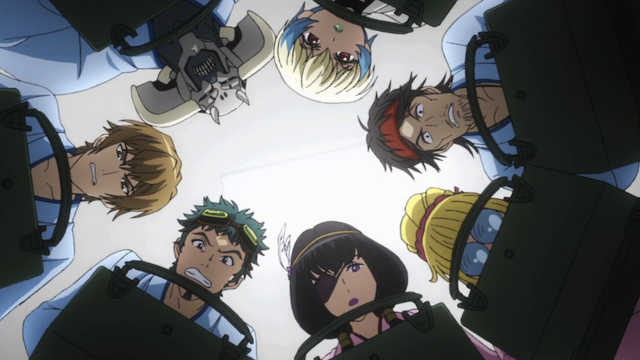 The crew realizes that Marika is trying to save their pirate license, but also fear the worst. Luca correctly predicts the girls will break the engine before they can go anywhere. Realizing the damage a bunch of newbies can do to their pirate ship, the crew of the Bentenmaru gather computers and start typing up a manual in the hopes they can get it to them before they break anything major. Captain Marika Kato boards the space pirate ship Bentenmaru. The crew of the Bentenmaru in document creation mode. 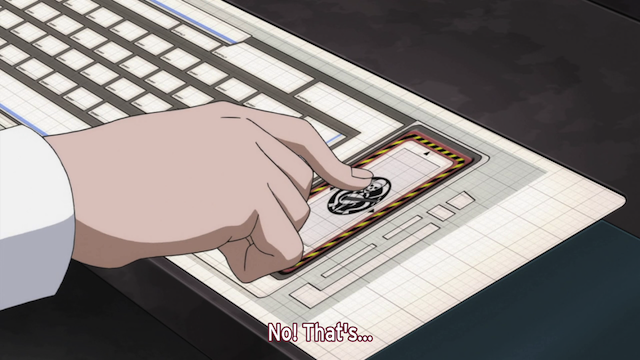 Meanwhile, back on the Bentenmaru ... Haramaki wonders what this button does. Thus justifying the crew's worst fears. 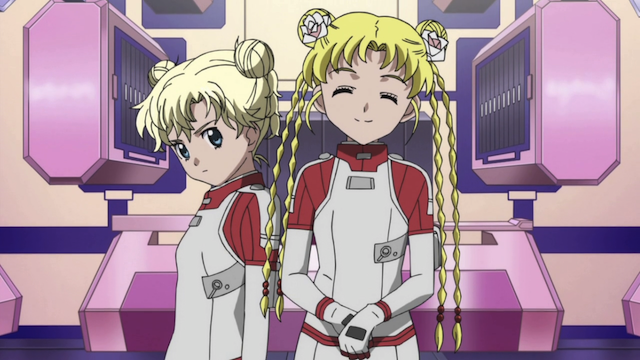 Honestly much of this episode was pretty obvious, and could have been guessed in advance. That didn’t keep it from being funny, though. Nobody wants to create documentation until a crisis occurs. Chiaki is saying that it's time to wrap this post up. A very funny way to get the substitute crew off on their adventure. I think this will get a bit more serious later in the arc, though. 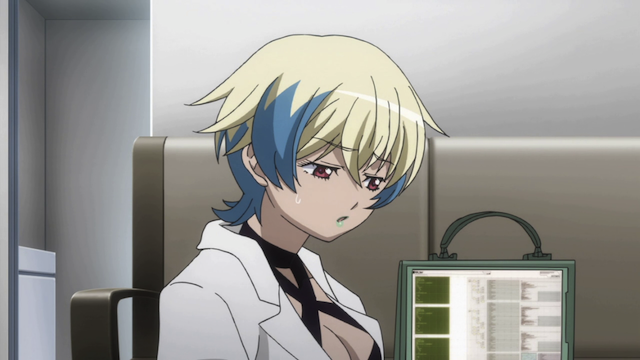 As Misa warned Marika, the regulars won’t be around to back them up if something goes wrong this time. I’m definitely looking forward to seeing what happens again next week! Misa Grandwood. The positive front she puts on to keep everyone's spirits up. Misa Grandwood. As soon as everyone leaves, her own worries are evident. Excellent episode. As you said, fairly predictable, but very well executed. I like how the girls can be utterly professional one minute and totally spaced out the next. Very realistic, viz a viz teenagers. Chiaki really seems to be loosening up a bit. She’s going to be a better captain for her time spent with Marika. 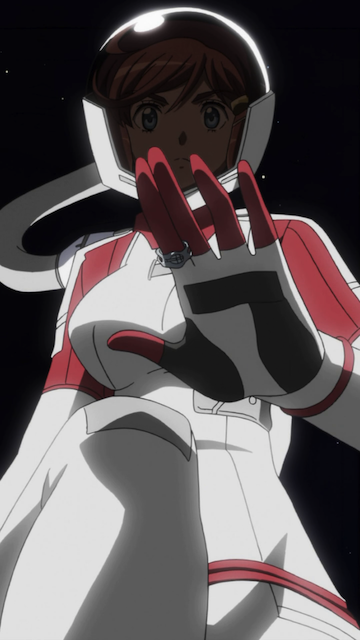 I’m kind of disappointed Mami doesn’t seem interested in going to space. 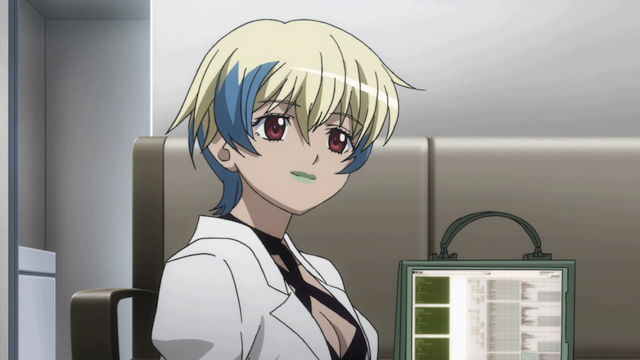 I love her character, and would like to see more of her. It’s going to be interesting seeing how they handle the “Boarding” next week. Are they going to dress the ladies up as guys? If they don’t, won’t that give the game away? I think Mami’s role in the series is to serve as the “what if” for each character if they had a normal life without piracy. That’s an interesting thought. Instead of doing something exciting, the character might be waiting tables somewhere. It does make the contrast greater by seeing someone doing normal activities every now and then. I’m surprised they are going to do the pirate attack. It seems unnecessarily prone to something going wrong. I was pretty sure they were just going to run the delivery job, but the preview makes it look like they are going to attack the Princess Apricot again. This was such a fun episode, with quite a few personal favorites. My favorite pretty ship is back! And a very nice ‘unfurling’ of her sails, too. Chiaki’s expression when the snacks are revealed had me laughing and re-watching the scene. That you can her happy cooing through out the whole scene was icing on the cake; I can hear her voice the most clearly. The princesses sneaking aboard was a complete non-surprise. 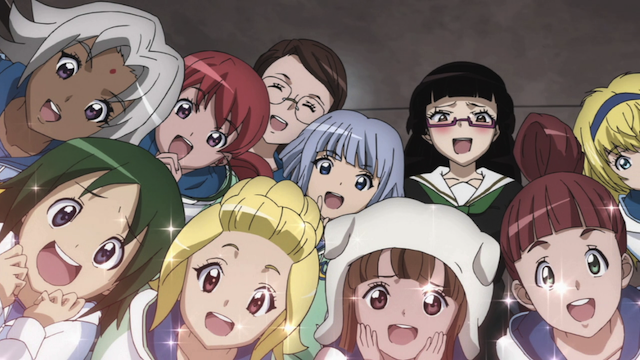 As soon as stowaways were mentioned I said, “I know who that is.” And Chiaki is obviously an easily bribable girl. Now we get to see how the club handles an “attack” and if they brief glimpse right at the end of the preview is any indication, at least one has an “Outfit” suitable for a pirate. We agree on a lot. As to Schnitzer, I don’t understand biology, so I don’t really know what would kill a virus. I know as a Cyborg he is still part human, so that is how he caught it, but I don’t really know what “catching” a virus entails or requires. I’m out of my depth on this, so I can’t say. Regarding Schnitzer, the concensus seems to be (for whatever that’s worth) that while he has an internal air supply for operating in vacuum, he would normally breath local atmosphere, which would allow a virus to get into his system and infect his “organic” bits just like anyone else. And since he can’t submit those organic tissues to vacuum anymore than a normal Human could…. Reading what I just wrote, the further assumption would seem to be that he “seals off” his still-human organs and tissues somhow. I’m sure it’s all laid out in his manual. Oh, wait….